Dawkins, R. M. 1908/9. "Laconia I. Excavations at Sparta, 1909. § 1. The season's work." 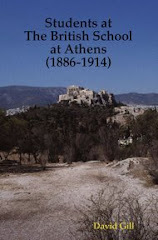 Annual of the British School at Athens 15: 1-4. —. 1908/09. "Laconia I. Excavations at Sparta, 1909. § 2. The sanctuary of Artemis Orthia." 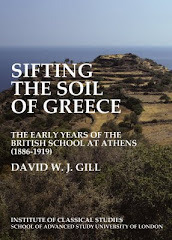 Annual of the British School at Athens 15: 5-22. Droop, J. P. 1908/09. "Laconia I. Excavations at Sparta, 1909. § 3. The pottery." Annual of the British School at Athens 15: 23-39. Giles, P. 1908/09. "Laconia I. Excavations at Sparta, 1909. § 5. Lycurgus as Patronomus. A Scottish parallel." Annual of the British School at Athens 15: 107. Wace, A. J. B., M. S. Thompson, and J. P. Droop. 1908/09. "Laconia I. Excavations at Sparta, 1909. § 6. The Menelaion." 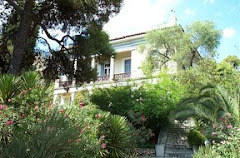 Annual of the British School at Athens 15: 108-57. Woodward, A. M. 1908/09. "Laconia I. Excavations at Sparta, 1909. § 4. The inscriptions." Annual of the British School at Athens 15: 40-106.